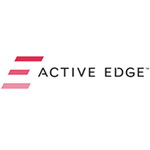 Active Edge is the new name for CherryActive products! The Active Edge is the benefits our products give our customers. Each product in the Active Edge range has different and specific functional benefits. Be it someone wanting to control gout or aid sleep with CherryActive, reduce blood pressure with BeetActive, or improve brain health with BlueberryActive. At the other end of the spectrum our products have been providing elite athletes the edge by helping to optimise their enduranceand recovery. CherryActive Concentrate and Capsules are taken by consumers serious about their health, wellbeing, fitness and sport! CherryActive is made from carefully-grown Montmorency cherries, using special techniques to optimise their powerful, naturally-occurring antioxidants!